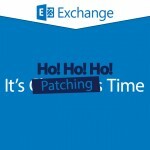 Patching time is here, happiness and cheer! Fun for that admins call, their favorite time of the year. That’s right campers, it’s the last month of the quarter and Microsoft has released the quarterly Exchange updates. Hopefully you’re on vacation and won’t have to deal with this until early in January, but more likely you are working harder than Santa’s elves trying to catch up on things while most of your users are off making merry. So if you don’t have a change moratorium and are looking to get some patching out of the way when you can probably bounce servers in the middle of the day, getting the latest Exchange updates onto your servers is a good way to spend your quiet time. Here’s what you need to know! Just kidding. There is no CU for Exchange 2016. Expect to see the first CU for 2016 in 2016. There is no schema update specific to CU11, but it will need to prep AD for new RBAC settings, and it will also need to reboot. Make sure you plan for that when applying to servers and use an account that has EA rights in Active Directory. CU11 can be downloaded from http://www.microsoft.com/en-us/download/details.aspx?id=50366. 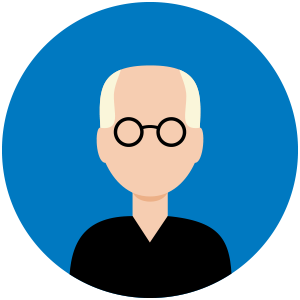 This CU fixes over twenty issues in Exchange 2013, including new Daylight Savings Time settings, fixes to EAS, performance issues, and very long URLs in OWA. It’s funny that the example provided for a URL that is too long is a Yammer URL. You can read about all the things fixed in CU11 at https://support.microsoft.com/en-us/kb/3099522. There are also updates to the UM Language Packs available, which you can download from http://www.microsoft.com/en-us/download/details.aspx?id=50365. RU12 for Exchange 2010 SP3 fixes five issues, including the same long URL issue as in 2013, updates for Daylight Savings Time settings, and a couple of bugs. You can download the RU from http://www.microsoft.com/en-us/download/details.aspx?id=50359 and read more about what it addresses at https://support.microsoft.com/en-us/kb/3096066. A gentle reminder that 2007 is now N-3 and will hit the end of extended support on April 11, 2017. It’s also not compatible with Exchange 2016. If you’re still running Exchange 2007, now’s the time where you really ought to start thinking to upgrade so that you can do it in a measured fashion, rather than scrambling to get it done around this time next year. That said, it is still supported and SP3 RU18 is available. This RU addresses some changes to Daylight Savings Time settings, and also updates the length of URLs that can be opened from OWA, just like the update for the other two versions. You can download the update from http://www.microsoft.com/en-us/download/details.aspx?id=50364 and read about what it fixes at https://support.microsoft.com/en-us/kb/3078672. As with all versions of Exchange, we recommend that you test and then deploy the relevant updates to all of your Exchange servers in a timely fashion. This will ensure that you remain in a supportable state, and that you greatly reduce your vulnerability to exploits that could attempt to take advantage of unpatched systems. Start from the outside and work your way in, patching Edge servers, then CAS, then Hub Transport (where relevant,) then Mailbox servers. If things are slow and you have the time to do it before checking out for the holidays, grab a cup of Egg Nog and get patching. I recommend RUN-DMC’s Christmas in Hollis as great background music while you wait for the reboots! Happy holidays!